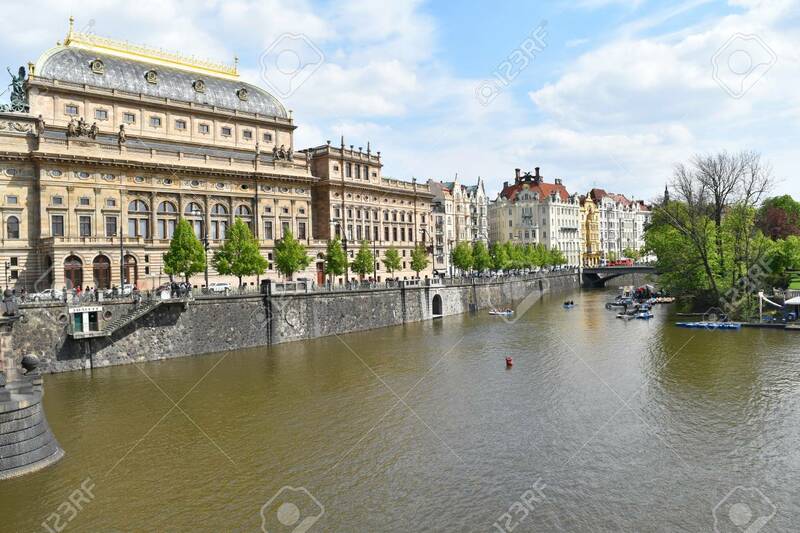 The National Theatre Of Prague City Center On The Bank Of Vltava.. Stock Photo, Picture And Royalty Free Image. Image 104403874. Stock Photo - The National Theatre of Prague city center on the bank of Vltava river, in Czech Republic. The National Theatre of Prague city center on the bank of Vltava river, in Czech Republic.